The use of Anycast technology was a necessary element in meeting CommunityDNS’ goal for providing resilience. “Anycast” technology, the preferred, base technology used for DNS, aids in resilience of the DNS. Mirrored redundancy. 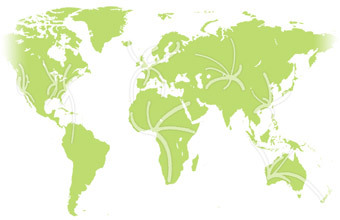 A network based upon anycast technology allows all nodes to be seen as one. In an anycast network, a single IP addressed is used for every node within an anycast network. With CommunityDNS’ network of 40+ nodes deployed across five continents, this means all servers act as one, highly distributed network. Customers who use CommunityDNS find value in their zone data being mirrored in ALL networks of their respective network. Geographically served. Anycast technology allows every user to have their initial queries answered by the anycast node closest to the user. Resilience. With DNS data mirrored across all nodes within an anycast network, a server can be removed from the network without impact to other servers within the network. Any attacks of spikes in traffic can be isolated to one node within the network without impacting the other nodes within the network, maintaining continued operation and thus resilience. An Internet which is always “on”, continuing to resolve the world’s queries.